Until now, most motherboards with high-end integrated graphics, rich features and even certain overclocker functions have been provided for our test lab mostly by MSI. The AMD 890GX-based MSI 890GXM-G65 is a recent example. However, while this niche is small it still has enough space for competition. So today we have a motherboard from ASRock that offers all of the above. 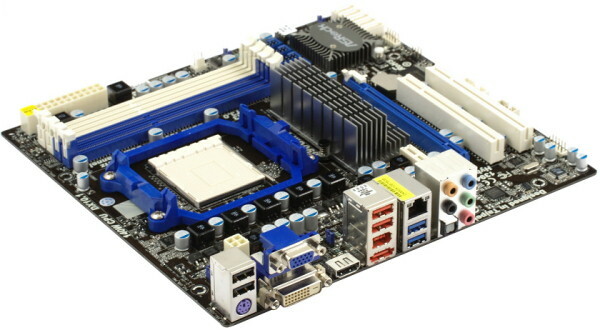 This motherboard isn't even microATX, it's cut down in both width and height. Nevertheless, the layout allows to install even a large graphics card with a dual-slot cooler, not preventing access to other interfaces and ports. At that all peripheral connectors have edges for more convenience. Legacy interfaces include COM port and IrDA ports on respective brackets. Also note a decent metallic plate that secures CPU cooler latches so you don't have to worry even if your cooler is especially heavy. Unlike ASRock 890GX Extreme3, this time the engineers provided a eSATA 6Gbps port on the back panel. As you know, USB 3.0 on most motherboards is provided by a controller from NEC that offers two ports. But ASRock 890GM Pro3 has a controller from Fresco that only has a single port. But this is quite enough, because the number of devices that fully utilize such bandwidth doesn't increase very quickly. While most USB devices like keyboards, mice and other low-speed peripherals, just don't need USB 3.0 performance at all. The Northbridge heatsink cannot provide much extra cooling, so if you're going to overclock, make sure you have other means of cooling. If you plan to run graphics-heavy applications, installing this motherboard into a very compact enclosure with a single fan in a PSU wouldn't be reasonable as well. As for the Southbridge cooler, it's quite sufficient. Only if you crave maximum efficiency, you can remove the plaque with the logo. The CPU VRM has 5 phases. The 4 phases powering processor cores feature 3 MOSFETs each, the CPU NB phase has 2 MOSFETs. There are 5 x 820µF and 4 x 270µF capacitors, all solid. 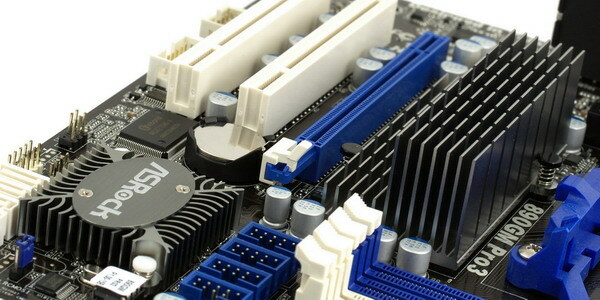 The motherboard supports processors with the TDP of up to 140W. The circuitry is almost identical to what we saw on the full-size ASRock 890GX Extreme3. 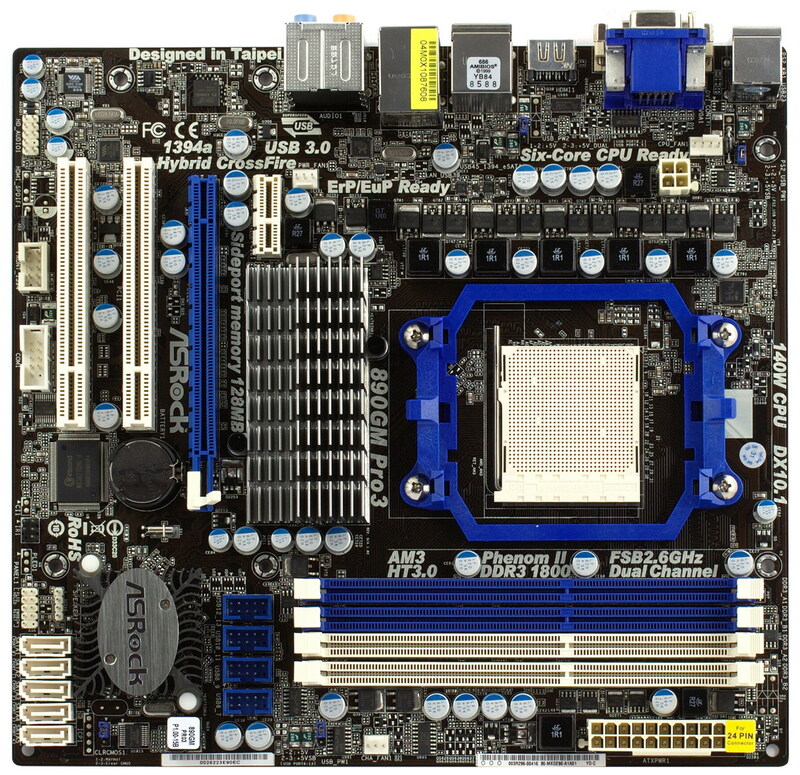 The motherboard also has a video buffer (a 128MB Nanya NT5CB64M16AP-CG GDDR3-1333 chip). ASRock 890GM Pro3 comes in a stylish box with holographic coating. The bundle includes 4 SATA cables with metallic latches. Proprietary software includes OCTuner (overclocking), IES (power-saving mode management), OC DNA (storing BIOS profiles in Windows). Third-party tools include CyberLink Power2 Go, MediaShow, PowerDirector, etc. There's also a user's manual and 2 illustrated quick-start guides for the Instant Boot mode and IES. Firmware upgrades are possible from both BIOS and Windows. The BIOS also has an interesting option called "Good Night LED" that lets you turn off LED lights in the sleep mode (S1). Another nice option is "DrLAN" that provides distance to the damaged part of the LAN cable. 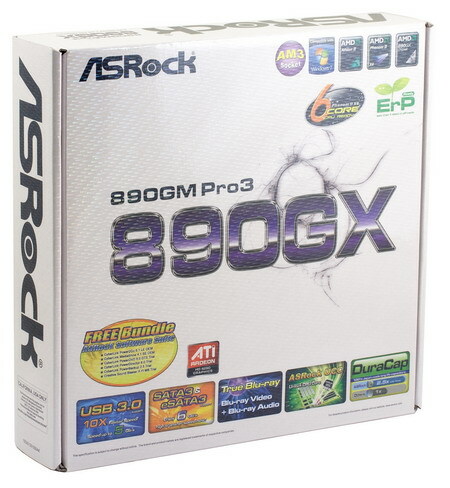 ASRock 890GM Pro3 is based on the AMD 890GX chipset (AMD 890GX Northbridge and SB850 Southbridge). The list of compatible processors includes all Socket AM3 models, including hexacore ones. The motherboard supports up to 16GB of DDR3-800/1066/1333/1600 RAM, has 5 internal SATA/300 ports (RAID 0, 1, 0+1, 5) and a eSATA port on the backpanel. Auxillary controllers are listed below. Integrated audio based on the 7.1-channel VIA VT2020 HDA codec, optical S/PDIF Out on the backpanel. FireWire based on VIA VT6315N (PCIex1), 2 IEEE1394a ports, 1 on the backpanel. USB 3.0 based on Fresco FL1000G (PCIex1), 1 USB 3.0 port. System monitoring based on Winbond W83677HG, automatic CPU cooler speed adjustment is supported. You can set the desired temperature to maintain (45°C ~ 65°C), as well as the desired minimal cooler speed (1 ~ 9; higher number means higher minimal speed). The maximum speed cannot be limited to avoid overheating and depends on actual heat dissipation. Only 4-pin coolers are supported. Overall grade: very good. This is a typically good implementation of the old codec that is still widely used in mid-end motherboards.